Port Motueka with boats moored in Moutere Inlet at low tide. Richmond Range in distance. 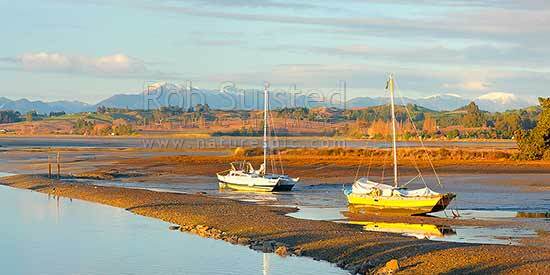 Panorama, Motueka, Tasman District, Tasman Region, New Zealand (NZ), stock photo.